What is the NBN roll out map? How Do I Decipher The Rollout Map? How Long Will It Take For The Rollout To Complete In My Area? Is The NBN Rollout On Track? If you are a tech geek or someone who just loves anything that has to do with the internet, then you may have heard of the NBN Rollout Map. In 2015, the NBN Co published its rollout plan for the upcoming years, with details of existing service and construction locations, as well as areas where construction is to commence within the next few years. Installing this new network across the country is due for completion over the next four years and be completed by the end of 2020. What Exactly Is The NBN Rollout? 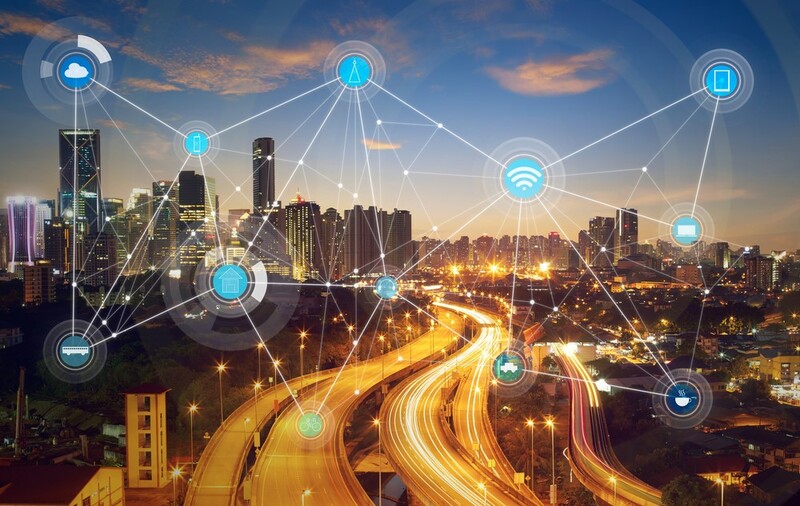 The ultimate aim of this rollout is to provide a fixed-line internet connection that is capable of supporting high bandwidth for multiple users. This connection, also known as fibre, is made from glass and uses light to transmit data over long distances. NBN fibre reaches you via a fibre-optic cable that is laid either in the ground or via overhead lines. The NBN rollout plan aims to make fibre available to close to 93% of Australian premises. As for the remaining 7% that will not be able to be reached with fiber, internet will be provided fixed wireless and satellite technologies. The NBN rollout map can help you get answers to some of your questions such as, “Is there NBN in my area?” and “Can I get NBN?”. 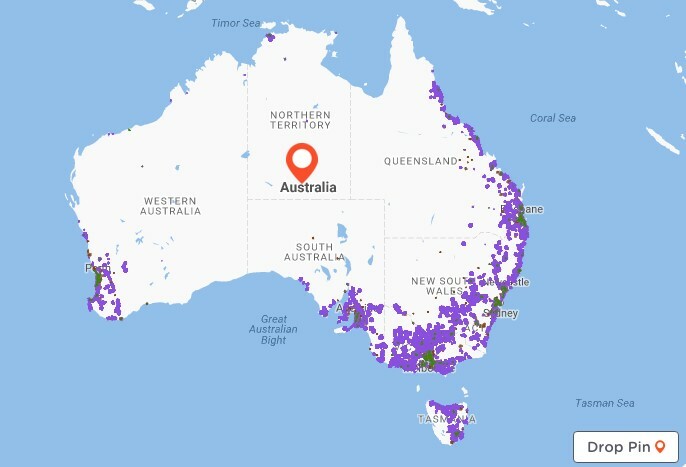 Instead of scratching your head wondering, the rollout map that is available on the NBN website along with many Internet Service Providers’ websites have made it easy for everyone to find out if they already have existing network coverage, or if not, when their area is planned to be equipped with it. The rollout map has been made easy to understand with colour coded activities. Where NBN service is already available they are marked with the colour Purple. Areas where NBN build has commenced are marked in Brown. Dark Green is used for areas where NBN approved construction partners are undertaking pre-construction activities, and Yellow marks areas in which NBN in not yet available, but in which plans are underway. The NBN rollout can take various amounts of time in different areas, and this is all dependent on what technology is required and what infrastructure is already available in the area. However, with that said, from the initial stages of planning through to the final installation, the average amount of time taken will be between one to three years. The NBN availability is not mapped out by suburb, so fret not if the neighbours across the street already have an NBN connection and you don’t. Eventually and in time, everyone will have access to high-speed broadband. According to the NBN, their rollout is currently on track and says that the rollout continues to exceed its connection and financial targets - which is good news for all who are eagerly waiting for their neighbourhoods or areas to be equipped with network coverage. NBN Co states that "With strong performance across all key metrics, the company is on track to reach the half-way complete milestone this year, further progressing towards its 2020 goal". Two-thirds of Australian homes already have their locations covered either by network planning, the actual build-out or are already completed. 70% of said locations are also in non-metro or regional areas, a figure that has been made possible by the comparative ease of adding services to the fixed wireless and satellite customer base. The NBN is aiming to reach more than half of Australian households by mid this year. If you are keen on finding out if your area already has NBN services, hop onto the NBN rollout map yourself to find out the status of the rollout at your property. You can also use our NBN Plans page to discover the available NBN plans in your area.